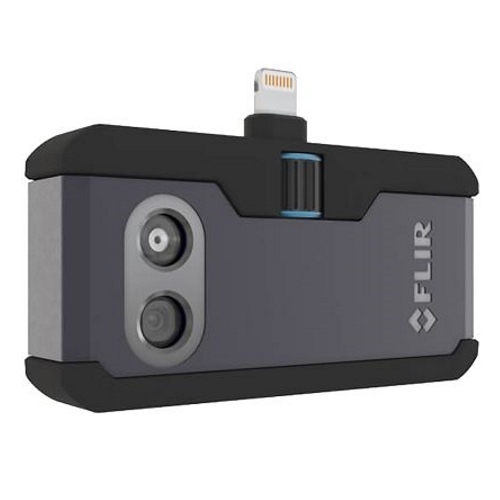 FLIR ONE Pro is an attachment that connects to the bottom of mobile devices via lightning connector. 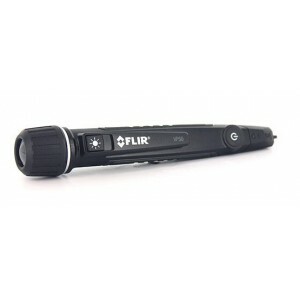 With the ability to see what the naked eye cannot. 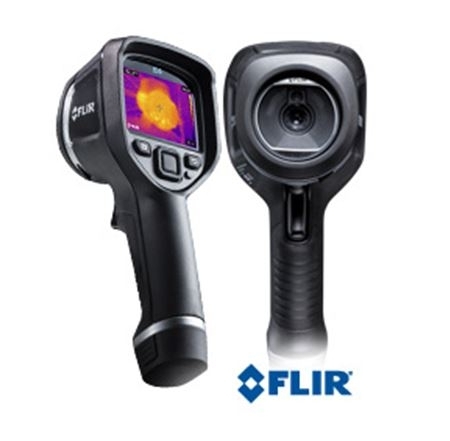 FLIR ONE Pro™ provides thermal images of very small temperature differences. 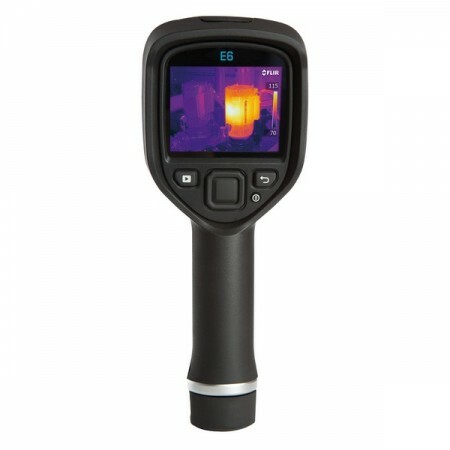 This gives the user the power to see in the dark, see through light fog and smoke, observe invisible heat sources, compare relative temperatures and measure spot temperatures. 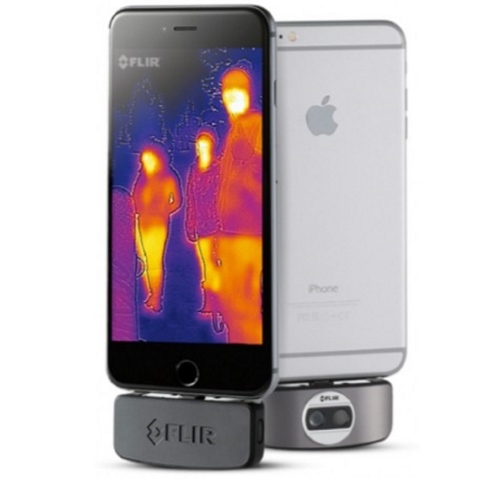 The FLIR One Pro gives the users the power to see in the dark, see through light fog and smoke, observe invisible heat sources, compare relative temperatures and measure spot temperatures. 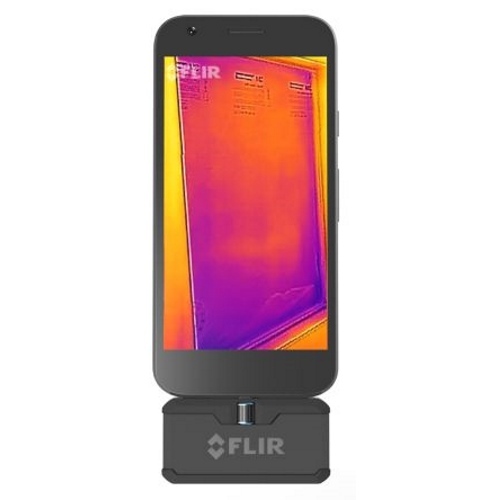 FLIR ONE Pro App provides a simple and intuitive user interface with various functions making it easier to collect and share useful thermal images. 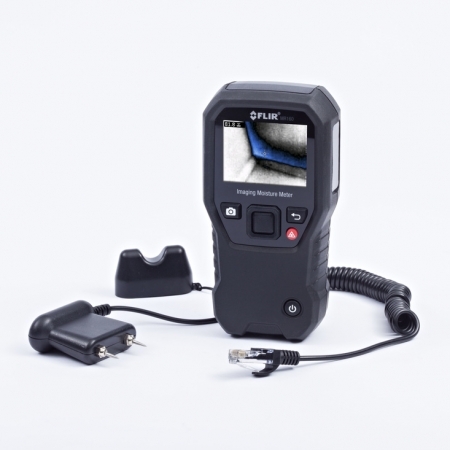 It can load captured images directly to the camera roll and allows operators to easily share. Note: The phone is not included. 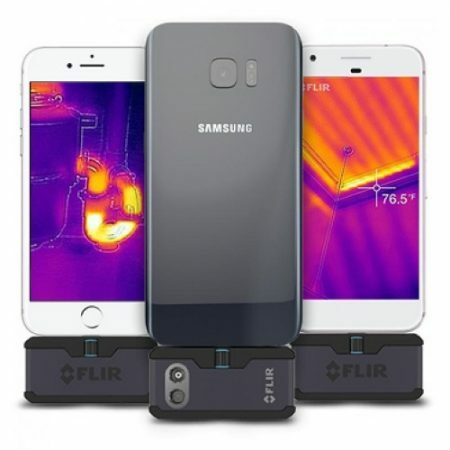 iPhone SE Accessory has been designed to connect specifically to these models, and has been certified by the developer to meet Apple performance standards. 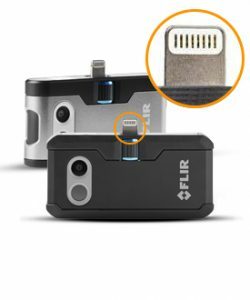 Apple is not responsible for the operation of this device or its compliance with safety and regulatory standards. 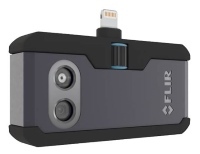 Please note that the use of this accessory with iPod, iPhone, or iPad may affect wireless performance.